A bright live mix of yellow pink and red roses, 3 white chrysanthemum, 2 green chrysanthemum, 2 santini, 3 statitsa, 3 ruskus, greenery in natural wrapping of yellow and green with ribbons. 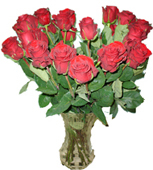 Holiday basket decorated with 3 roses,5 carnations, chrysantemum, 2 ghypsophillas, greenery and a bottle of champaign. 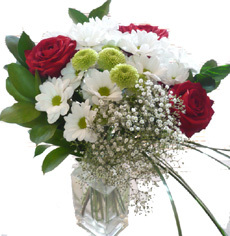 A nice soft basket of bright colours with 11 chrysanthemum, baby breath, statitsa and green. 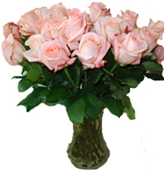 A wonderful and tender bouquet with tulips and carnation decorated with same colour elements. 11 tulips, 9 carnations.Avaliable from November till May. The star shaped floral work is decorated with New Year toys and balls. 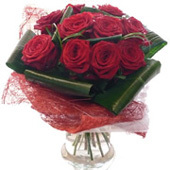 5 red roses, 4 white chrysanthemum, greenery, dry flowers, natural wrapping. ??4. Wait for redirection to online secure server page.